Publishing blueprints online is halted until a lawsuit challenging Defense Distributed's ability to do so is resolved. A U.S. judge extended a ban on publishing blueprints for 3-D printed guns online, handing a procedural victory to states and gun-control groups that argue the practice will make it easy for criminals and terrorists to get their hands on untraceable firearms. The injunction against Austin, Texas-based Defense Distributed was issued Monday by U.S. District Judge Robert Lasnik in Seattle, where 19 states and Washington, D.C., sued to block it from making technical plans for an array of guns available globally on the internet with the government’s blessing. The injunction will remain in place until the suit is resolved. 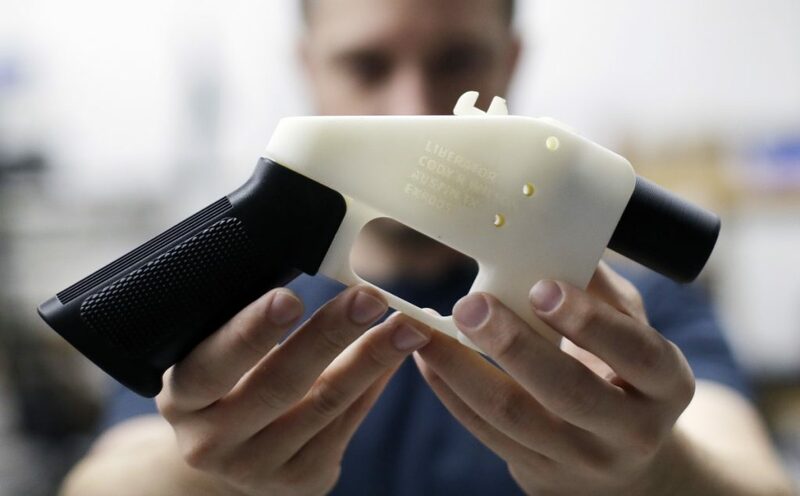 The 3-D printing of guns gained urgency after Defense Distributed reached a surprise settlement with President Trump’s administration resolving a 2015 government challenge. Former President Barack Obama’s administration had sued the firm on national-security grounds, alleging the publishing of gun schematics violated the federal Arms Export Control Act. Trump said in July that allowing unfettered public access to instructions for making guns with 3-D printers doesn’t “seem to make much sense” but hasn’t fought to stop it. In Monday’s ruling, Lasnik criticized the government’s argument that the states won’t be harmed by publication of the blueprints because the federal government is committed to battling undetectable firearms. The “very purpose” of Defense Distributed’s plan is to “arm every citizen outside of the government’s traditional control mechanisms,” the judge said. Josh Blackman, a lawyer for Defense Distributed, said the company is reviewing the decision and considering all its options. The ruling was hailed by New York Attorney General Barbara Underwood in a statement on Twitter.